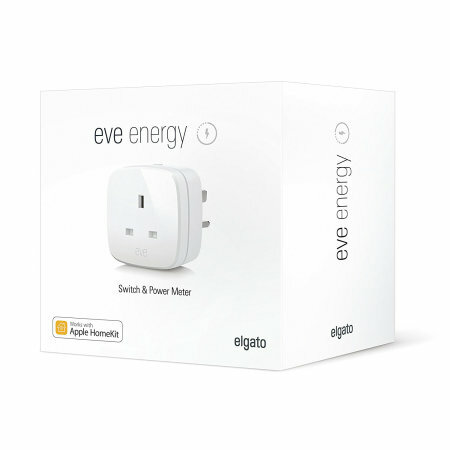 Save energy and conveniently turn electronic appliances on and off with your Apple HomeKit compatible device using Elgato Eve Energy. 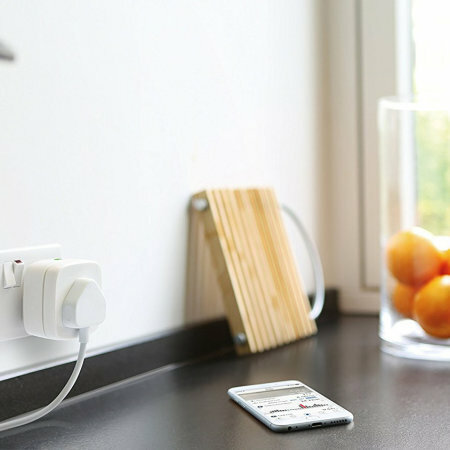 This smart, wireless plug enables you to have complete control over your appliances both at home and while on the move. Item supplied was an older version than the others I have, but all good. 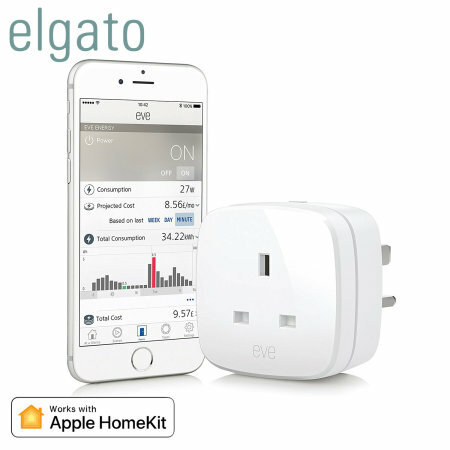 By downloading the Eve app for compatible Apple devices, you can easily track the energy consumption of your home appliances that are connected to your Elgato Eve Energy. 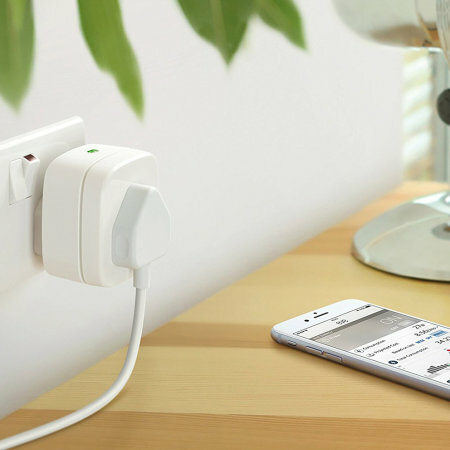 The app displays the amount of energy used and total costs using easy to read figures and graphs, so you can simply monitor and take direct control over your energy costs and ensure that you aren't wasting power. 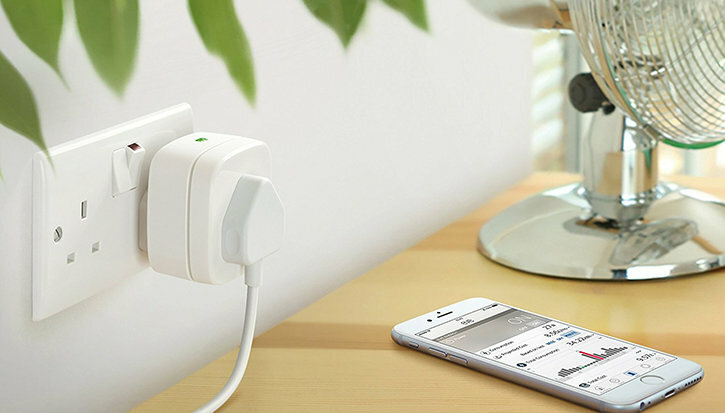 With timers and remote activation, you can take full control all of your appliances while at home or on the go with a simple tap or by using Siri with your compatible Apple devices. Set timers so that your appliances come on when you walk through the front door or setup a scene so that your appliances work in concert. You could, for example have a scene called "Kids Bedtime", which turns on a night light and an interactive mobile and closes the blinds when you say "Hey Siri, it's kids bedtime". 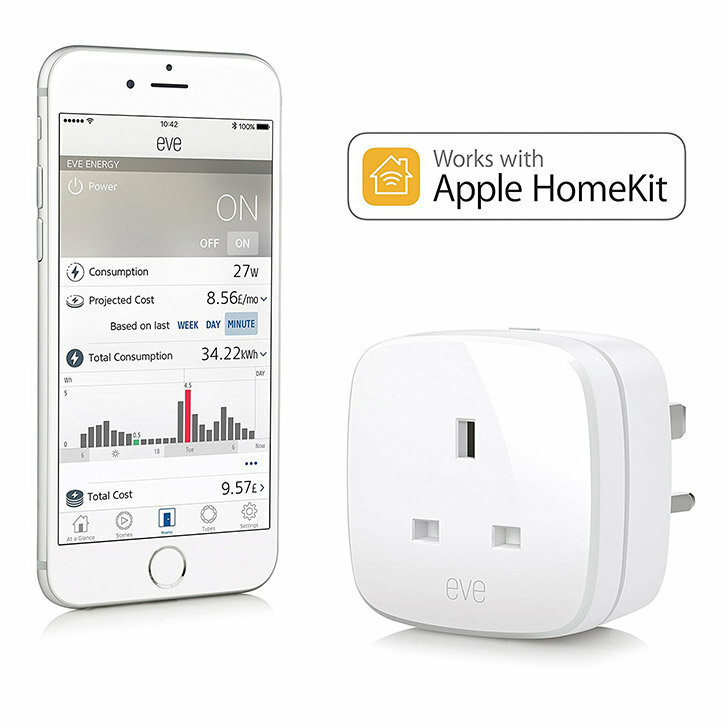 The Eve Energy has "Works with Apple HomeKit" certification, so you can use all of your Apple devices to remotely activate your devices, change timer and scene settings or keep an eye on your energy consumption both at home or on the move. 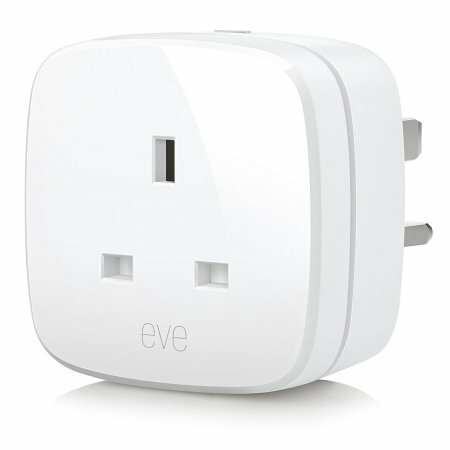 Add the Eve Energy to your current collection of HomeKit enabled smart home devices to help you to take complete control of your home from one device.